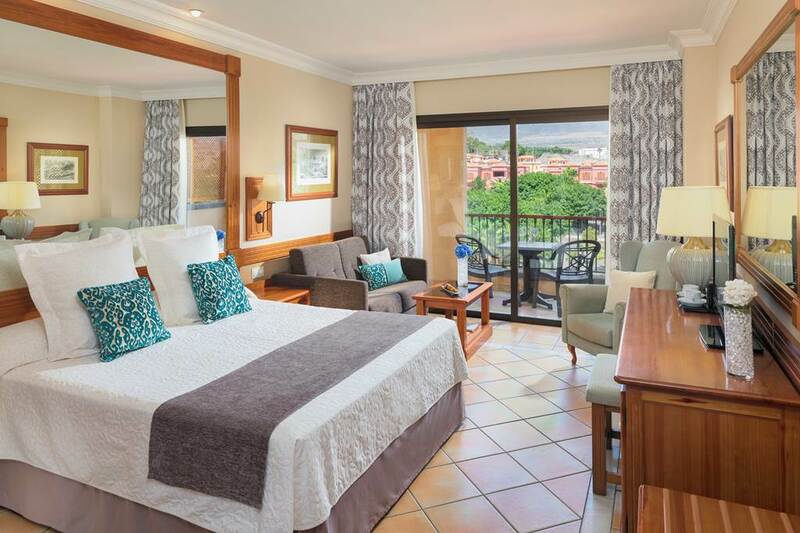 Glitz and glamour abound at the GF Gran Costa Adeje, set on a hillside. Slick interiors, marble, chandeliers, water features, theyʼre all here, giving a grand air to your stay. Thereʼs plenty activity-wise but the rooftop pool is a special spot for relaxing. 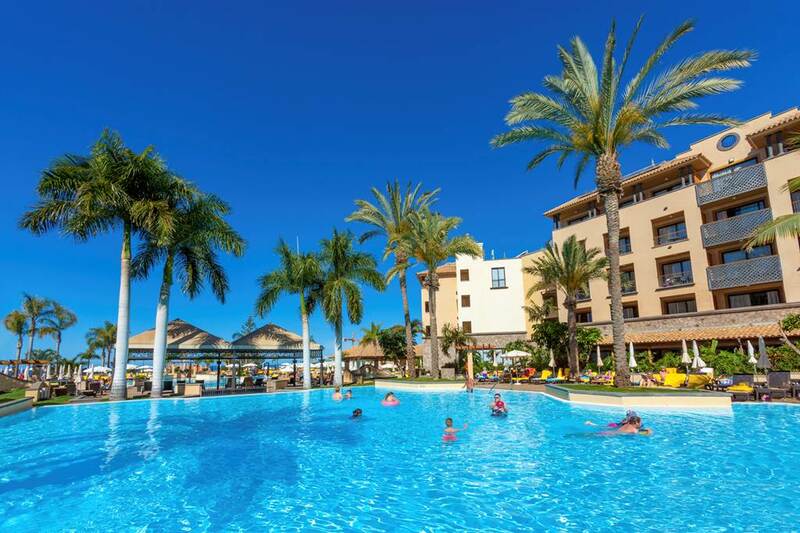 Standard rooms (2-3 people) have twin beds plus a sofa bed, individually controlled air conditioning, Wi-Fi, satellite TV, hairdryer, full bathroom, and balcony or terrace. Also available: Twin rooms for sole use. Pool view rooms. Interconnecting twin rooms. Suites (2-3 people), with bedroom and separate lounge. Royal Suites (4 people), with 2 bedrooms and separate lounge.